At Mitchell Dentistry, we provide a range of cosmetic dental services to create a custom treatment plan to treat your smile. Our Fort Myers practice utilizes high-quality materials and technology that helps us meet your specific needs. From small imperfections to full-smile makeovers, we provide cosmetic dentistry for patients in Fort Myers, Cape Coral, High, Estero, Naples, and cities across Lee County. Drs. James, Yolanda, and Joseph Mitchell have extensive experience in providing cosmetic dental services to help patients smile with confidence. Many patients seek cosmetic dentistry to treat concerns such as decay, major discoloration, misaligned bites, misshaped teeth, and damaged or missing teeth. Our Fort Myers dentists supply solutions that can recreate your smile to the one you’ve always wanted. Decay not only impacts the health of your tooth, but can create a coloring to the enamel that is unappealing. Whether you have a small cavity or received root canal treatment, Mitchell Dentistry provides a variety of restorations that assist in the protection and the recoloring of the smile. We offer white fillings that restore the tooth structure and seal out decay. Porcelain crowns are applied after root canal treatment or a large instance of the decay. These restorations are fabricated with materials that blend in with the smile and look like natural teeth. Teeth whitening is a well-known cosmetic dental treatment that can be found over-the-counter. However, with professional bleaching services, you can whiten the smile by several shades in just one visit. A whitening gel is applied in our office and a curing light activates the agents that brighten the smile. If you are attending a wedding or have an important business meeting, increase your confidence with a brighter smile. Having missing teeth in your smile impacts the way you chew and speak. Mitchell Dental offers a variety of replacement options that provide solutions for a fuller, completely functional smile. Fixed-bridges replace one or more missing teeth utilizing the support of neighboring teeth. Dentures and partials are removable prosthetics that replace part of or a whole arch. However, dental implants offer a secure, permanent way of replacing missing teeth. Veneers are an excellent option for those who have multiple aesthetic dental concerns. Patients can look to this treatment for major discoloration, misshaped teeth, or minor gaps between teeth, as veneers mask these issues by being bonded to the fronts of teeth. Our Fort Myers cosmetic dentists can help you choose the correct shade and shape of your restoration. Enhance the look of your smile by applying cosmetic dental options to your treatment plan. 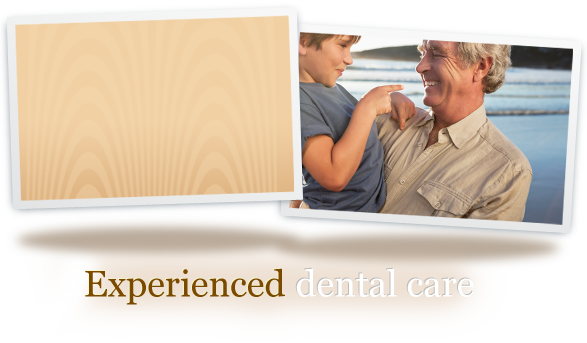 For more information, contact Mitchell Dentistry in Fort Myers to schedule your next dental visit.